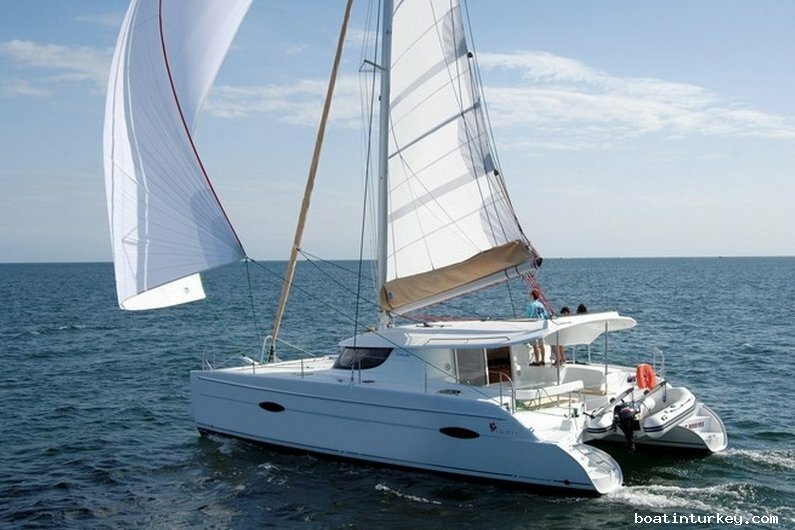 Our Sailing Catamaran Charter Turkey can accommodate up to 8-10 guests in 2 double and 2 double cabins with 8 berths, all with en-suite bathrooms. 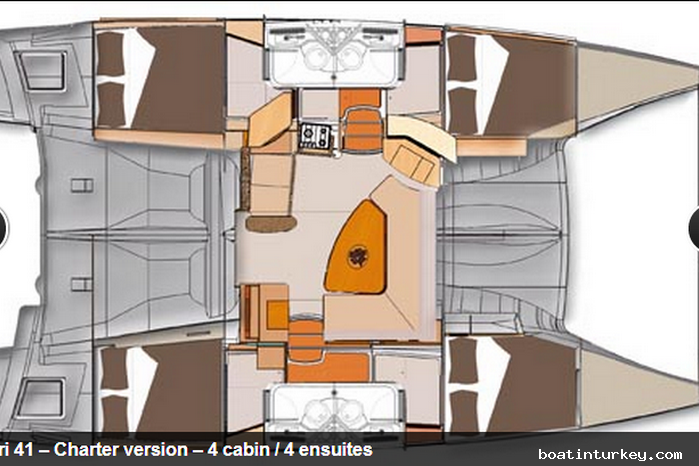 The cabin layout is best suited for 8 adults however an extra 2 children could be accommodated if required. 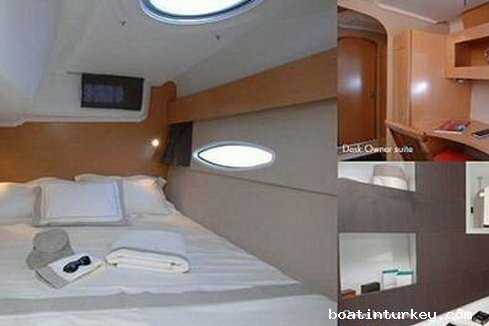 The crew's quarters include 1 cabins with separate entrances and no bathroom. 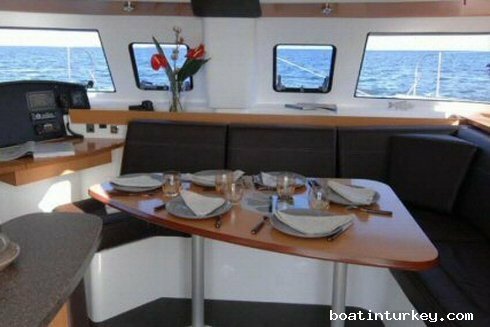 This yacht offers incredible stability at sea, as well as at anchor while providing a light and spacious environment. The salon also offers fine interior decor with delicate fabrics and finishes. 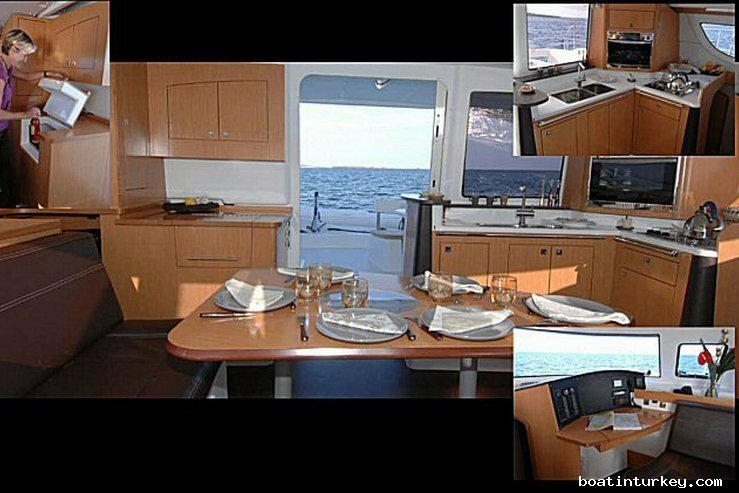 She well ventilated, nicely fitted 2 double and 2 triple cabins have air conditioning and their own private bathroom. 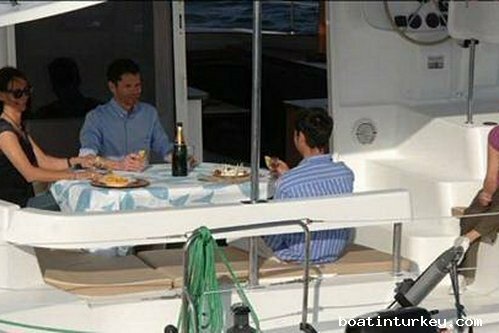 The 1 crews have separate cabins, access via a private entrance. Osman, the Turkish skipper, your captain is always ready to share his specialist knowledge. Be enthusiastically introduced to a wide range of activities from visiting archaeological sites to underwater exploration. 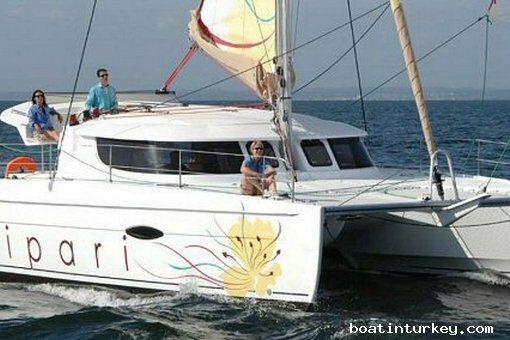 Catamaran Charters Turkey.